Biometric Entry System or Biometrics authentication, is one of the most preferable and secured way to keep unauthorized peoples away. The Biometric devices like, Biometric hand readers, Biometric fingerprint scanners and more, verifies identities of employees and visitors by their unique characteristics or traits. The person is allowed access if verified successfully, otherwise, access is denied to him. Biometric identification is one of the most secure form of the access control system. Only registered employees would be able to gain access to the restricted areas after their successful biometric identification. Unlike other access control devices like Keypad Entry, Card Reader Entry or conventional lock key system, its theft free solution. It can't be stolen or given to someone to get access to secure premises. Individuals who have their biometric information stored in a database can get access, and that only after their successful biometric verification. These systems are normally installed in highly secured environments such as banks, hospitals, government buildings, etc. You will find these in residential premises as well. Since 1990, we at Genius Designs are well known name in the Texas region when it comes to installation of Biometrics Entry system. There are various brands and models of the Biometrics Entry System available in the market and getting specialization on all of them is a very difficult task. But here, we are very proud to say that during this period of time, we get specialized in installing all types and kinds of Biometrics system, no matter what brand or model it is. How the Biometric Entry System works? The Biometric Entry system collects and store biological features of a person like, fingerprint, iris, voice recognition, facial recognition or palm prints to determine the personal identity through the use of Biometric readers. For privacy reasons, this information is stored using a mathematical system rather than a readable image. The combination of stored biometrics data and biometrics recognition or identification device, creates the Biometric Security Systems. If one wants to get access he/she would have to pass through the identification process of Biometric Security System, by providing their unique characteristics or traits which will be matched to biometrics system. If there is a match, the individual will have access to the secured area or the data information. It's a very high-tech security system and can't be easily impersonate. Experienced Biometrics Entry/Security systems installers! If you are considering a high-tech security system for your home or business premises, which can't be easily tempered or disguised, go for a Biometric Entry System. Its most reliable, secure entry system and also full worth of money. We at Genius Designs, have installed countless Biometric Entry systems for hundreds of residential and commercial customers. Our exceptional knowledge and commitment towards our job helped us win the trust of a number of customers in Houston and surrounding areas within the Texas region. We assure you of our high quality services at very affordable price. 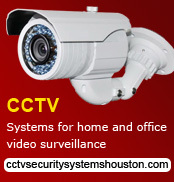 Get in touch with most experienced and skilled Biometrics Security system installers in Houston. Let us help you make your premises safe and secure from unauthorized access. Get in touch with us, we are just a phone call or email away.